The short pile height was chosen over longer material to allow the child’s tricycle to be ridden with normal effort. The area will also be used for activities including most ball play and child type play activities. The project included a fence to protect the little girl as the yard does slope some. Finally, the surface will also be used for a bench swing and basketball goal, a true multi-use area that is perfect for synthetic turf. This amazing project was made possible by the generosity of several companies, Midwest Synthetic Turf included. Both materials and labor were donated to various degrees and the project received great attention, responsiveness, flexibility and commitments from all who participated. Without these people, the play area could not have been built due to cost constraints. Sporturf™ would like to welcome its newest team member, Raquel “Rocky” Raybon, as Western Regional Manager. 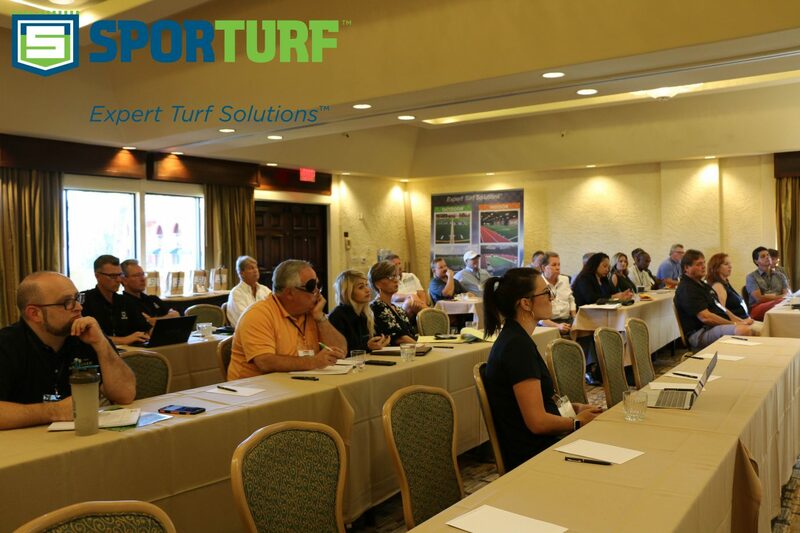 Sporturf™ is expanding its footprint on the west coast and making a conscious effort to gain market share. 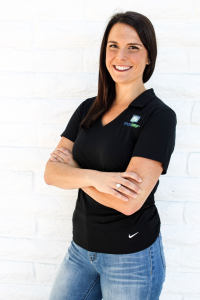 Raquel is going to be an integral part of the plan to get Sporturf™ there. Raquel grew up both in Columbus, GA and Florida. 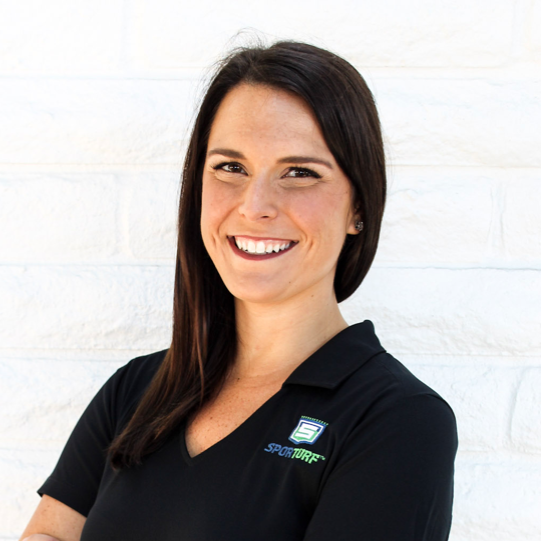 As a student athlete on the swim team at Clemson University, Rocky earned her degree in Travel and Tourism Management while minoring in Business Administration. Upon graduation, she went on to work in the entertainment industry in Atlanta for 5 years and transferred to California, where she currently resides in San Diego. 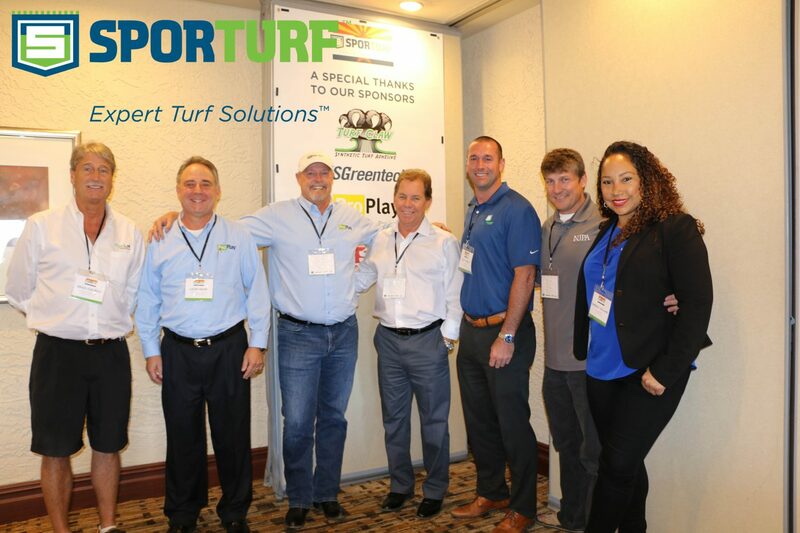 Sporturf™ recently hosted its second annual dealer conference in Phoenix, AZ at The Pointe Hilton Tapatio Cliffs Resort, doubling its attendees from the previous year. 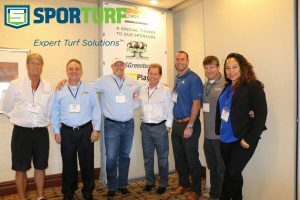 The dealer conference began on Tuesday October 24, 2017 with an evening reception continued Tuesday morning with presentations discussing the history of Sporturf™, strategic planning and the 2017 year in review. 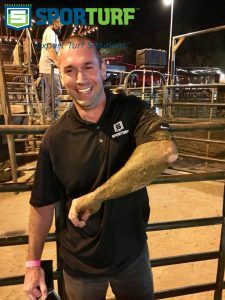 The conference also incorporated presentations by sponsors of the dealer conference and company suppliers, including guest vendors such as Turf Claw, Schmitz Foam, US Greentech, National Joint Powers Alliance (NJPA). The first day wrapped up with dinner and an evening of fun and comradery at The Buffalo Chip Saloon, complete with Sporturf™ Business Director Matt Riggs taking his first ride on a bull. Attendees enjoyed networking with our sponsors and team members and learning tips and tricks from experts in the field. We look forward to another great year and an even bigger and better conference next year! Thank you to all who attended and we look forward to our continued partnership in the years to come.